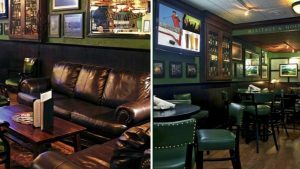 As close to an authentic Irish pub as you’ll find downtown. Quinn’s offer’s a little bit of charm like that in the old country, with decent WiFi service. You can hide away there all afternoon with a cheeky drink and idle the hours away while responding to work emails. Comfortable and cozy.